What are the rivals of that same time slot? - the most important thing to me now. Our ratings will depend on how strong they are. EDIT: I replay the scene. Again and again, what a lovely kiss! AQ thanks for LJK tweet loved reading it. And yes like @maz said i don't mind long drama since its gives more time and space to show character grow rather then rushing things and also when my fav is there in it i don't mind watching them in longer series. I made this real quick since this is pretty much how all of us feel with this casting news. Come out shippers and let's celebrate! Thanks @maetawinz for the thread I think before anymore news come out about this drama, I'm going to soak in this moment that we get to see Lee Dong Wook and Lee Da Hae together again and for 32 eps! Woohoo! Let the My Girl rerun begin. Looking forward to spazzing out with you guys here and for all the goodies that will come with this drama. Bbasha! @Maetawinz Whoa, really? I can spazz in here? THANK YOU OMG. @apqaria That Lee Junki tweets made me laugh so much =)) But I think the ㅊㅋㅊㅋ part means "congrats"? An abbreviation from 축하 해요? But I'm not sure so I could be wrong I also sincerely hope that he will make a cameo, please, dramagods. Back to the drama, I'm also wondering who is the second male lead? I'm sure N will play a supporting character, not the second lead. Dear writer-nim, please make a good plot because our lovely couple really deserves that. Be honest who broke out their my girl DVDs when they heard the news of their reunion? 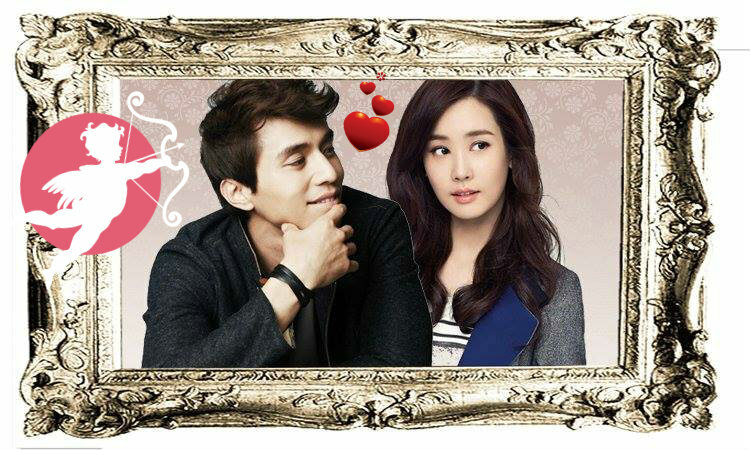 wow I hope it's true...I will like to see this pair again...it very rare to see couples pair up for more then one drama as lead. Aside from her and Jang Hyuk that is...they have been in many dramas together. And as you and @Bosco_96 said, N is surely not the second lead so, I wonder if we will actually get one? if yes I don't think it will be a good idea to get him involved in a love triangle with our leads as I would actually pity him from now because there is no chance to fight against a ship of 8 years ) it would be better if he is just a competitor or some one involved in the crisis the Hotel is having. @bashful, Dahae should be named the reunions queen I am not sure why she always end up recast with her previous co-stars but could it be that they just miss her and so keep trying to find the opportunity to work with her again or is it FATE? ( can't wait Đa Đa update weibo : ""Hello! I am going to the new film! Haha ... I should have learned the scenario but now I'm learning Chinese * hihi * can not neglect is learning Chinese! Yes, in episode 1 scene that I have to speak Chinese, but is very short * hehe *"
honeywell, my friend borrowed my 'MY GIRL' DVD, it has been 4 yrs already, she didn't want to return it to me-even asking me to forgive her if suddenly she die and still not return it to me. welcome to all the spazz member, we will have fun together-for sure. 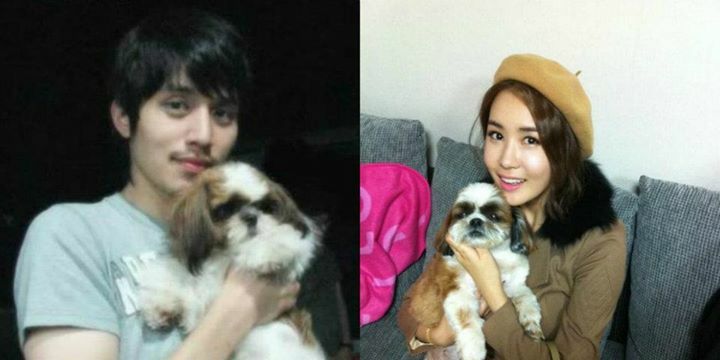 no wonder Dahae loves that dog (Cherry) so much, probably a sweet gift from Wookie. It is a whole 8 years and it just seemed impossible for me that I would see them together even in an event again (yes I gave up hope even on that ) but now it is happening so don't worry my dear friends we surely have the right to spazz here about these two. honeywell said: Be honest who broke out their my girl DVDs when they heard the news of their reunion? Oh my gosh! Is this true???? Weeeee! I'm a fan of My Girl before when these 2 started hahaha! I really don't know what to say but I'm happy that they reunite in one drama. I'm wondering if LDW will played a chaebol role again? Can someone tell me about this? Okay, I'm excited for their project and I'm sure I'll definitely watch it. rintintintin said: Oh my gosh! Is this true???? Weeeee! I'm a fan of My Girl before when these 2 started hahaha! I really don't know what to say but I'm happy that they reunite in one drama. I'm wondering if LDW will played a chaebol role again? Can someone tell me about this? Okay, I'm excited for their project and I'm sure I'll definitely watch it. And maybe I'm diffirent with everybody here bcos I don't interest with LDW that much (I like LJK's character in MG more) so I want attractive second male lead, but if DongHae couple can make me like them I will absolutely ship them in drama. Hoping this drama will find full cast and start filming soon. @Bosco_96, hehe, I surely don't mind that dear. Let us wait and see. I am sure we will get a lot of casting news soon as they surely need to start filming. I am thinking, it is Valentine's day why they didn't do the script reading session today to allow our Dong-Hae couple to spend the day together (even if it is just for work ) and also give us more to celebrate with ???? @rintintintin, nice to see you again I have made a post on the blog about the drama containing characters description we got so far. Hope it helps to know all about the plot. AQ:Thanks for the link one more actress added to drama i guess since the main lead are final they are looking for all the other cast .I am happy abt each and every thing but just worried abt director.The director who is directing Hotel king doesn't have good rating for the drama he has made.So i am just worried abt it. Even i wish we could get script reading on valentine but i guess the whole star cast is still not finalise so it get delay but hope soon we will get pics and our couple in pic of script reading . @maz:They are still friends for sure and offcourse good friends .